Our coverage of the Motion Picture categories is here. 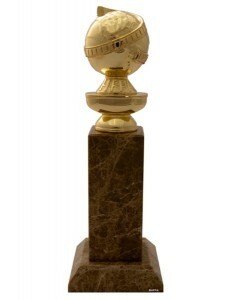 Firstly, is it just me or are the Golden Globes’ official category names severely overlong? Also, they need to broaden that Mini-Series or Motion Picture Made for Television category into two separate categories because some of those nominated in these categories don’t fall under that banner. What’s wrong with adding Supporting Actor categories for the Drama and Comedy or Musical categories, eh? Well, HFPA? Anyway, I’m digressing from the real issues here – Where is Breaking Bad‘s nomination for Best Television Series – Drama? Why is Glee nominated for the Best Television Series – Comedy or Musical? Is Zooey Deschanel really the best thing in New Girl? I could go on forever, but I won’t. I will say, however, that if Amy Poehler doesn’t get recognised for her fantabulastigreat role as Leslie Knope in Parks and Recreation, that’s me finished with the HFPA.